"Sufferer" to "God With Us"! Pastor Shadrack Maunda noticed him first. He was sitting beneath the sign that was his home during the day. Nights found him sleeping in the bushes. When it rained, a kind watchman at a nearby school allowed him shelter. His food was whatever he could find that was thrown out by others. 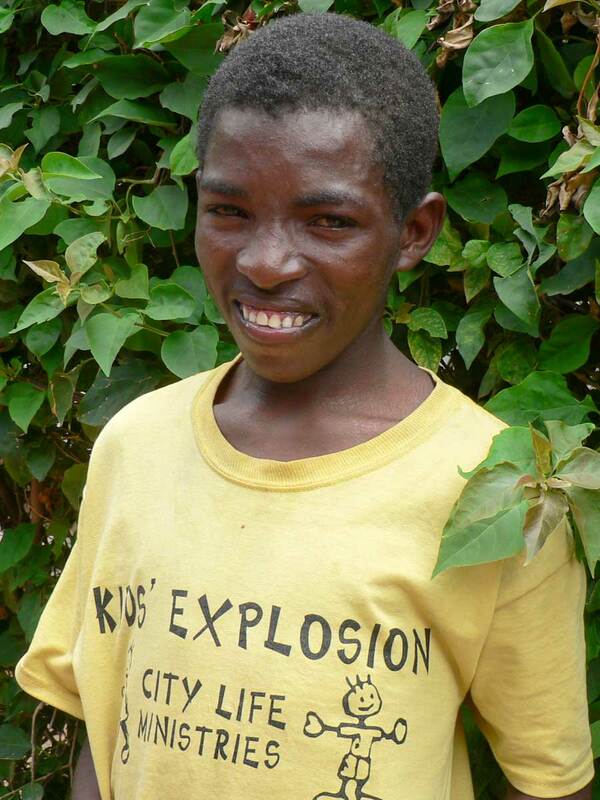 He was born into the Kamba tribe and was given a name which translated into English means “Sufferer”. He is about 16 years old now and for the last several years his mind has not been clear. People considered him “mad”. The last time he was in school he was in Standard 1 (First grade). For some reason unknown to us he left his father and mother and went to live with an uncle who would beat him. When he ran away from his uncle, he did not return to his parents but instead began living on the streets of Kibwezi where he has been for at least the past 6 months. The timing is not clear because his memory has not been good. In fact, he seemed to be only vaguely aware of his surroundings. Shadrack saw that he was “not right” and went to his house to find some food to share with the boy. When he returned, the boy was gone. “Sufferer” then showed up the first night of our crusade in the village center. He was surrounded by small children and did not speak. He left before the end of the program. The next night he was back at the crusade and the speaker that night, Evangelist Ghiorghi Cazacu from Romania spoke directly to him sharing the love of Christ. Again he left before the altar call. Thursday, after the visitors from America and Romania had departed, he returned to listen to the singing and preaching from Pastor Shadrack. At the altar call, Shadrack called him to come down to the front. As he came, Satan released his hold on him, he came to his right mind and began to speak, asking for Jesus to save him. He also prayed the he might be able to return to school and also be able to return home to his parents. Pastor Shadrack took him home to his family. 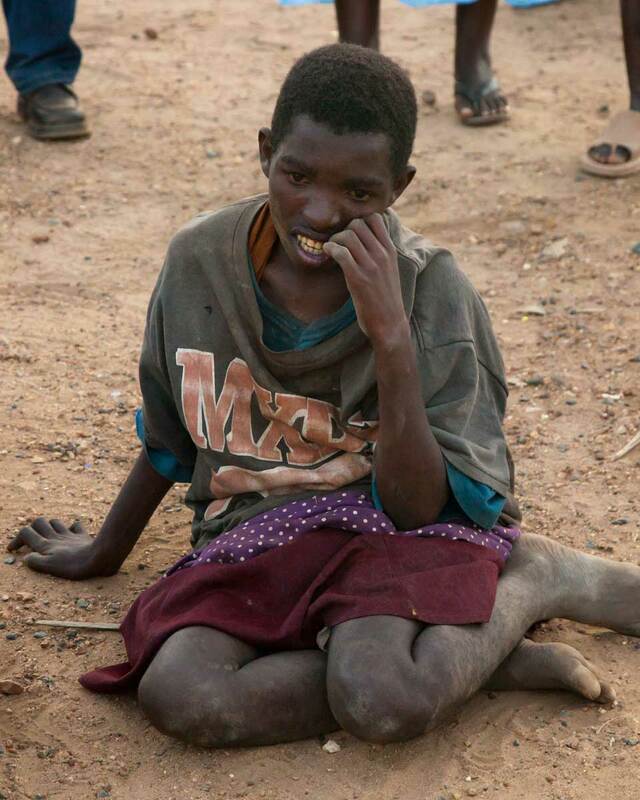 “Sufferer” was so filthy they immediately removed his clothes and bathed him. Amani, Shadrack’s 12 year old son, took the dirty clothes, doused them with kerosene and burned them. Amani then gave him some of his own clothes to wear. The next morning, Shadrack took him to a local fish hatchery, baptized him in an unused pond and gave him a new name. Amani said that he name is no longer “Sufferer” but he is from now on to be called “Emmanuel”. Today marks one week from the day Emmanuel began his new life in Christ. His mind is still clear and he now has hope. Emmanuel still has many challenges. His parents live in a house with no bed, no mattress and no food. His mother is ill, but has been sent to the hospital for treatment. His father is recovering from a broken leg and cannot work. We want to get Emmanuel away from the conditions that led to his previous problems, get him into school, and assign someone from the church to nurture him and disciple him. However he has to choose to do this. Please pray with us. Pastor Shadrack’s church took an offering to buy him clothes (Amani’s clothes are too small) and enough food for his family for a few days. We need to be able to provide beds for his parents and small sibling and also food for them until his father is able to return to work. We need to purchase more clothes for Emmanuel and a school uniform. We need to be able to pay his fees for school and buy food for him. Pastor Shadrack has offered to let him live in his home until he is more able to take care of himself. Thanks be to God for leading Emmanuel to us. Please pray with us for God’s guidance, wisdom, and provision as we care for our new son/brother in Christ.